Brush On Protection, Luster, and Gloss. The basecoat color restores the factory color but it is the clear coat that gives it a glossy appearance. AutomotiveTouchup Clear Coat gives your repair the shine you want and the UV protection you need for a practically flawless repair when used as directed. The brush-in-bottle applicator is precision designed to pinpoint paint right onto the repair where it's needed, to give you the best coverage without waste or over doing it. AutomotiveTouchup Clear Coat brushes on evenly and blends easily to make your repair virtually disappear in just a few coats. Our clear coat is exclusively formulated to work with all AutomotiveTouchup Basecoat Colors to guarantee the longest lasting protection and shine for your repair. Our Clear Coat is part of the basecoat/clear coat system developed by AutomotiveTouchup which faithfully reproduces the same paint system used by OEM manufacturers. Our Clear Coat not only protects the basecoat color, but brings out the richness and gloss that the basecoat color alone can't reproduce and is recommended exclusively for your repair. Other clear coats cannot be assured to work with the AutomotiveTouchup Basecoat and may give unsatisfactory results. 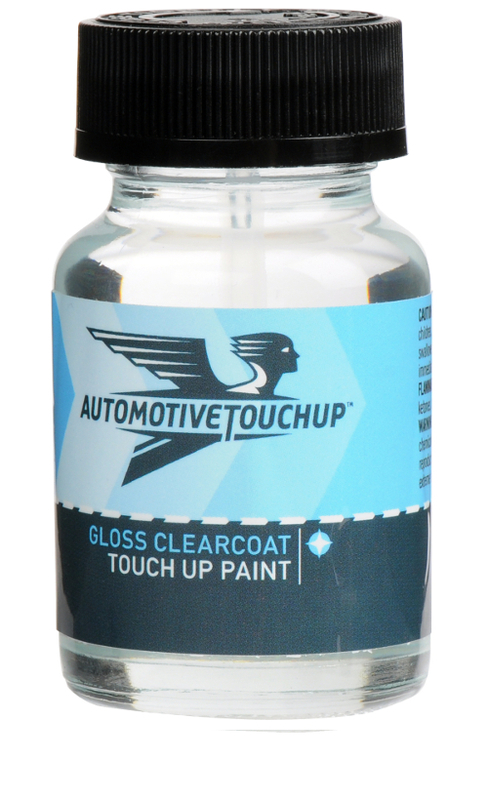 For the best results guaranteed, always use AutomotiveTouchup Clear Coat with our basecoat.